This Research Guide will help you find the book you want, check it out, and renew it. 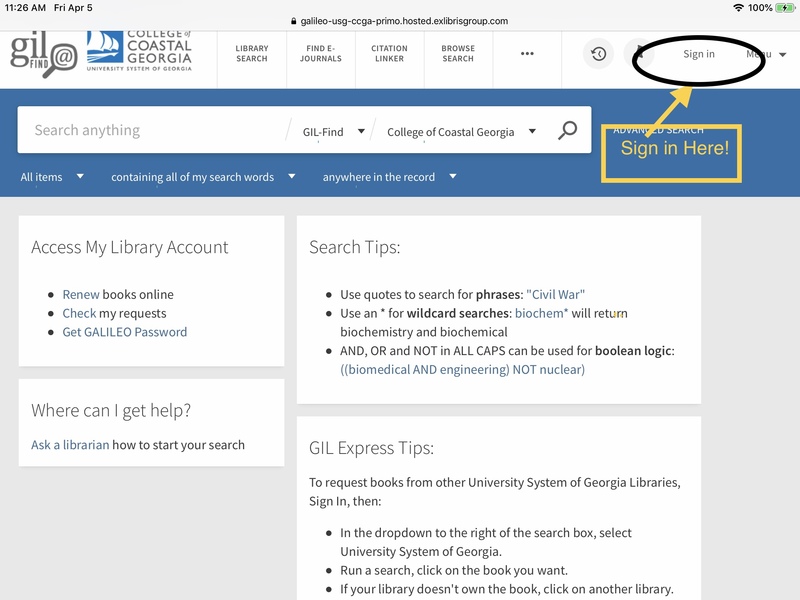 GIL-Find is Coastal Georgia’s catalog, a database of all of the books, eBooks, audiovisual recordings, periodicals, online resources, and other materials owned by the library. Each student has a GIL-Find account for requesting and renewing materials. 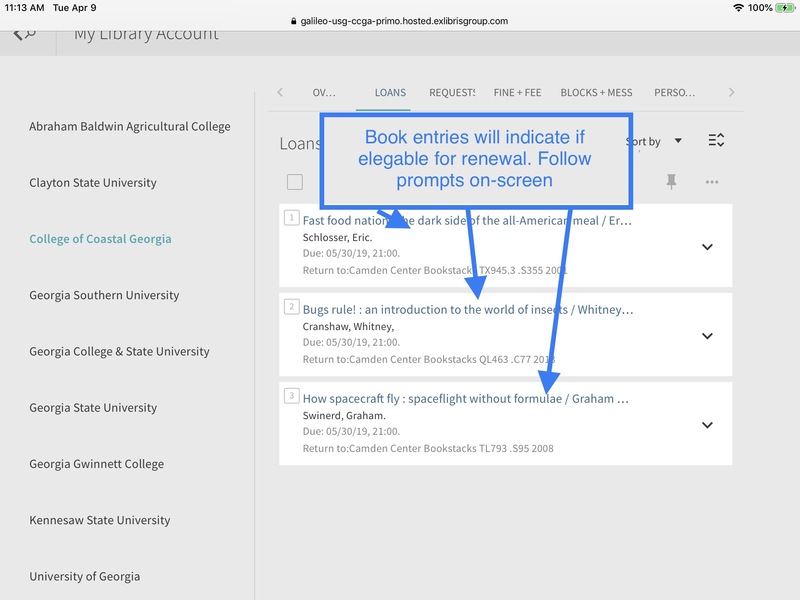 Use GIL-Find to find books on our library shelves as well as eBooks and journals in print and digital format (eJournals). 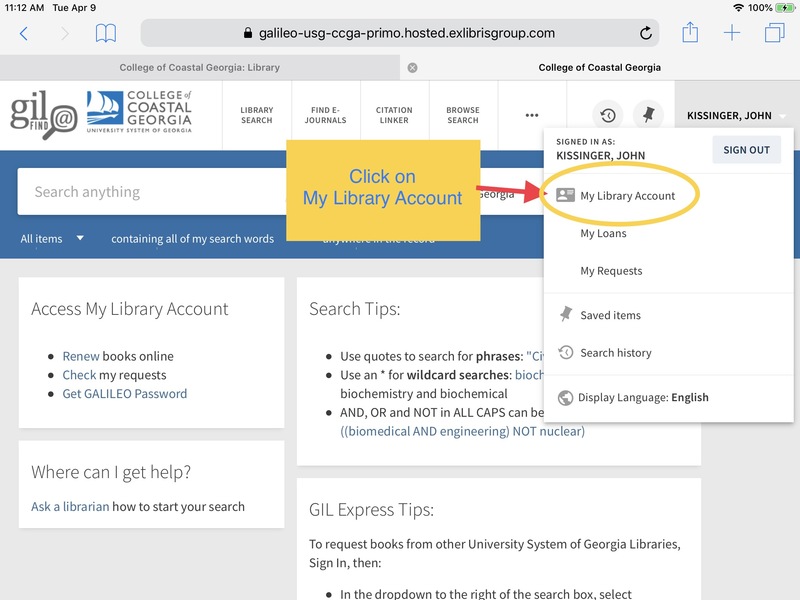 GIL-Express connects all libraries within the University System of Georgia. Printed books (monographs) that are normally loaned for the standard loan period at the holding library are available to be borrowed through GIL Express. 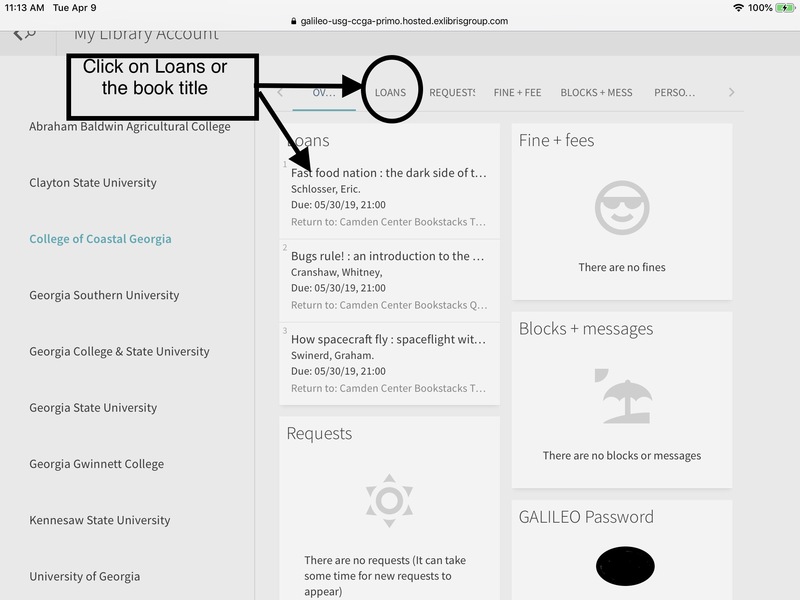 Request materials in person or online using your GIL-Find account. Ask a librarian if you need help. Interlibrary Loan or ILL is a service available for borrowing books that are not available at Coastal College (GIL-Find) or the University System of Georgia (GIL Express). ILL also can be used for requesting articles. Ask a librarian for help requesting materials from other libraries. You may renew your books twice through your GIL account. Renew books before the due date. Materials such as DVDs, journals, magazines, reference books, microfilm/microfiche and materials on Faculty Reserve cannot be checked out. You must use them in the library. Books that are not returned within 90 days after the due date are considered lost, and will be assessed a lost book fee of $60. In addition, a hold will be placed on the borrower's account. Is your library account blocked? Talk to a librarian.